Aaron McGrath who holds a Diploma in Hotel Management from Hotel Institute Montreux, Switzerland comes to us with over 24 years of experience, working through the ranks within the industry. He started off as Corporate Trainee with Hyatt Corporation followed by a promotion to Assistant Director of F&B with Hyatt Regency, both positions in Riyadh. Then Sonaisali Island Resort, Fiji beckoned him as their Resort Manager, followed by as the General Manager. He later on moved to managing the Sonaisali Group comprising of Sonaisali Island Resort, Sonaisali Premium Residences and Tadrai Island Resort; as Managing Director. Prior to joining us, he was the General Manager of Imperial Springs International Summit Hotel ,Guangzhou, China. Oman, a country occupying the southeastern coast of the Arabian Peninsula at the convergence on the Persian Gulf and Arabian sea. Much of the countries landscape falls within the sandy tree-less and largely waterless Rub’al-Khali region of the Arabian Peninsula. Today the region is crisscrossed by oil and gas pipelines but is still the domain of Bedouin nomads. In contrast to the stark interior, the coastal region and much more hospitable. 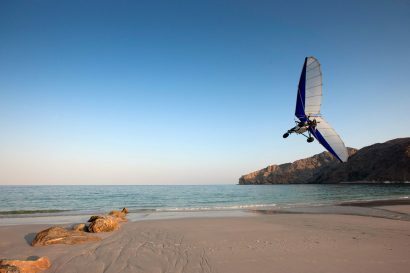 Oman’s lush northerncoast lies between the sea and inland mountains. This verdant, fertile region is known for its grapes, and other produce, as in the country’s south is the Dhofar region. The capital, Muscat, lies along the northern coast, blending modern and traditional architecture, the city commands a view of the Gulf of Oman and serves as a major port and commercial centre. Omanis are friendly people and very helpful to tourists. They are proud of both their country’s rapid progress and their heritage as one of the great sea-faring nations. Excellent schools and hospitals, good governance, and on-going infrastructure improvement are all important characteristics of this once introverted and closed nation. 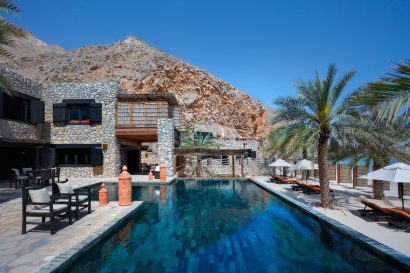 Set within a secluded in left lanked by a private sandy beach and lunar-like limestone mountains, Six Senses Zighy Bay enhances the arresting coastline of Oman’s Musandam Peninsula – the Norway of the Middle East. It is a haven made up of 82 family-friendly private pool villas with an award-winning Six Senses Spa. Dining options and culinary choices include fine dining at Sense on the Edge, which clings dramatically to the cliffs, plus several other venues with international and regionally-inspired cuisine. 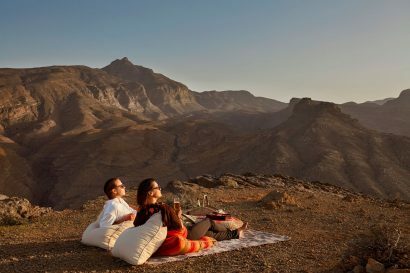 The resort is acclaimed as a relaxing and adventurous getaway, for romantic Arabian nights and wellness retreats together with inspired out-of-the-ordinary experiences. Six Senses Zighy Bay is located on Oman’s northern the Musandam Peninsula, a scenic 120-minute journey from Dubai. The setting is quite spectacular, with dramatic mountains on one side and a one-mile (1.6-kilometre) sandy beach on the other. The resort gives the feeling of exciting remoteness, yet offers every comfort and easy accessibility. 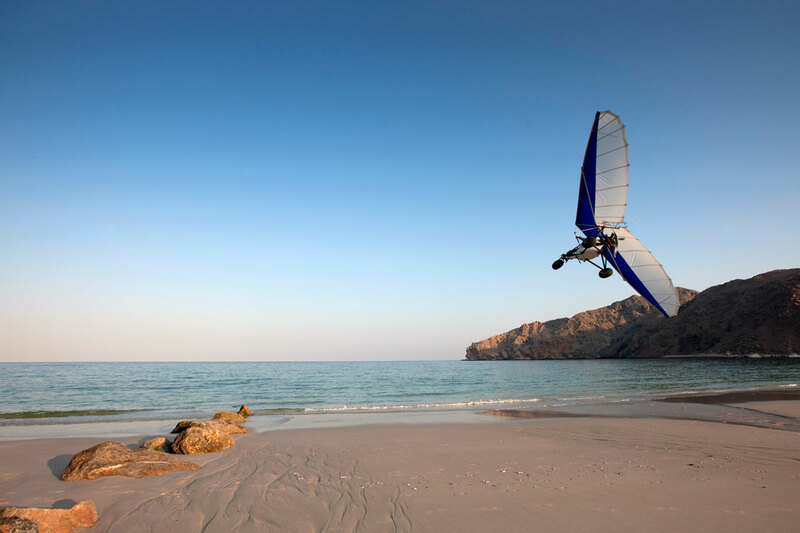 The adventures start at Zighy Bay and allow you to experience the culture of Oman and the buzz of the United Arab Emirates. These include a host of traditional and modern attractions from both countries; unique experiences from a creative list of the best available. Combining and customising tours to suit both the active guest and the guest who prefers to sit back and relax – taking in all that these fascinating destinations have to offer. Our exclusive adventures are your key to a magical holiday and involved all the senses for you to experience. Included are the always-popular Sunset Cruise and the Dhow Cruise. Zighy Bay’sown natural wonders allow you to put your feet up and the adventures will find you. Theseincludeparagliding, mountain biking, swimming and many more.Diving excursions, snorkelling trips, fishing adventures and many more fun activities which you can enjoy with family, friends – old and new, locals and our Six SensesZighy Bay Hosts. The Chaica’s Club for children 4 to 10 to keep them occupied and make your holiday a little more relaxing. There’s watersports, sand castles, treasure hunts, and learning about Arabian history and local culture. For younger guests, cookie and cake making are a fun but messy affair. The Teen Club offers adventure hikes, wadi swimming, canyoning or just learning new skills like archery, raft building and abseiling. • Summer House is perfect for a crisp lunch, afternoon bite, refreshing drink, and a fulfilling dinner during our cooler months. Try our list of homemade ice creams and sorbets. • Spice Market offers delicacies from the culinary world of Arabia. 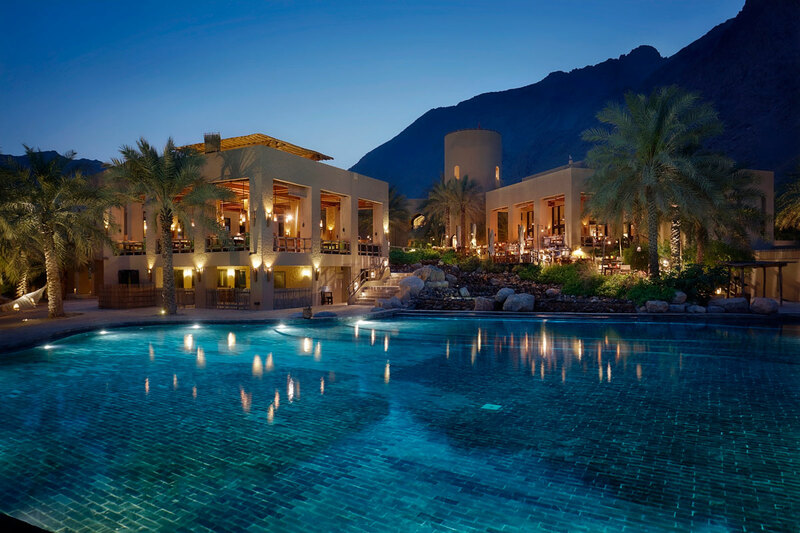 Enjoy breakfast and dinner in a relaxed Arabic environment among bold colours and traditional mud kitchen. • Zighy Bar offers classic, modern, local and organic mocktails and cocktails throughout the day and evening while overlooking our Wadi. Our Happy Hour is referred to as the No Rush Hourfrom 9:30 pm to midnight. 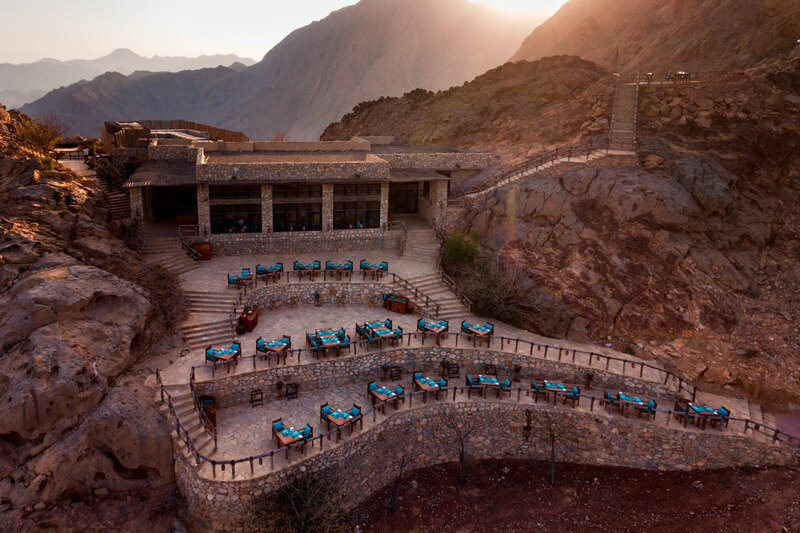 • Sense on the Edge – Our mountaintop, contemporary signature restaurant is the perfect place to enjoy a very memorable evening. A tantalising a la carte menu awaits you accompanied with a wide variety of wines. Open for dinner every day except Tuesday and Thursday, prior reservations are required, and the dress code is smart casual. Kindly note that due to the venue’s setting, children must have adult supervision at all times. • Mezzeria is the new food and beverage outlet that offers casual, fun and relaxed dining atmosphere at the saltwater pool. A combination of Italian osteria, Greek tavern and shawarma snack rolled into one, providing comfortable dining for the family during the cooler months. 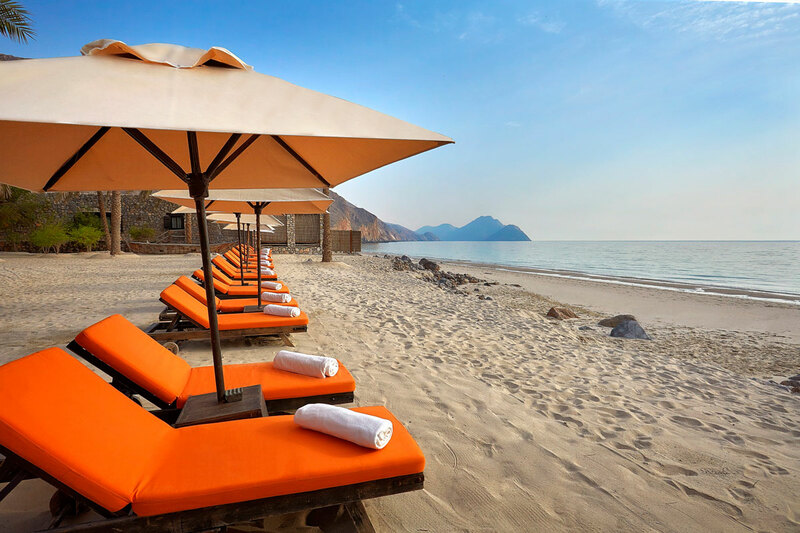 • Beach Bar – Open daily our team will indulge you with refreshing drinks and light refreshments while you enjoy the sun and clear azure waters of Zighy Bay. • Destination Dining – Guests are invited to fulfil their hearts’ desire and dreams of a private romantic dinner for two or a family dinner enjoyed at their choice of beautiful locations all around the resort. Either by the beach or by the bay, in the comfort of their villa, at the top of the mountain, atop the vinotheque or staying cool in the cosy wine cellar; out of the ordinary memories of the night will be created beautifully and orchestrated to meet every wish. 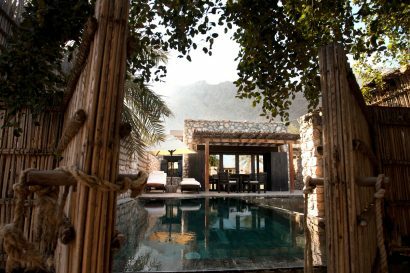 • Six Senses Spa Zighy Bay is a refuge for mind and body; it’s a retreat from the busy humdrum of daily life; a haven for the calm and relaxed soul; a sanctuary of ultimate well-being. 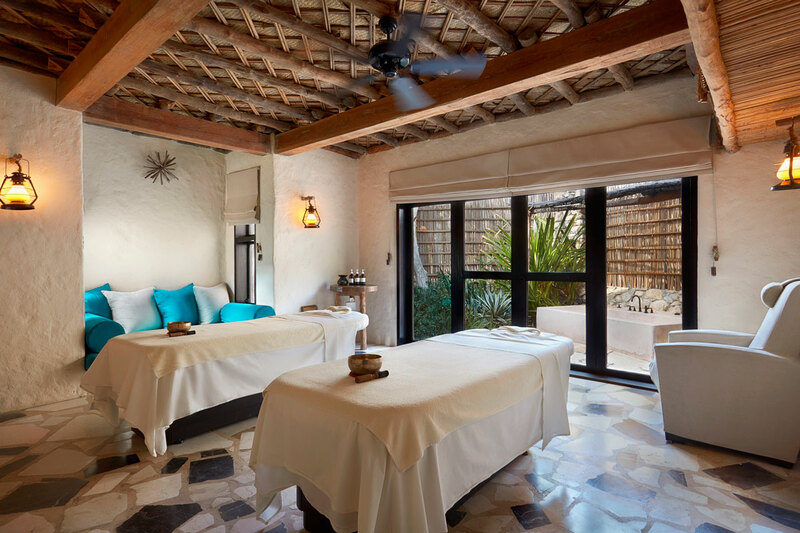 Committed to delivering integrated wellness experiences along with peace, tranquillity, fitness and health, we combine innovative and ancient holistic treatments from our expert in-house and visiting wellness consultants. • Gym – We also have a fully equipped gym. A fitness instructor is available at the gym at all times of the day, and a yoga teacher is qualified to guide guests through the signature Integrated Wellness Program. • Jungle Gym – Work hard and play hard at the outdoor gym specially designed for fun workouts overlooking the saltwater pool. •Saltwater pool is located at the southern end of the property, on the sand between the jungle gym and the water sports centre, it is both a considerable body of water, more than 100ft (35m) long and about 80ft (25m) at its widest, and the only saltwater pool in the Gulf. • The resort has a large central swimming pool with a poolside service offering snacks, drinks and icecream. • Personal Pilates Session: The Pilates method of body conditioning focuses on developing the deep stabilizing muscles of the spine, pelvis, shoulder girdle, strengthening the abdominals (the “powerhouse”), hips and glutes as well as stretching and strengthening the entire body. This is achieved by uniting the body and mind. Personal Pilates session can be focused on specific goal-sports performance, or address health issues or improve posture and achieve awareness of body alignment. • Private Reserve Majalis – Located at the secluded northern end of Zighy Bay on its own stretch of private beach, Beit Musandam has been carefully designed to reflect the traditional local Omani architecture with its exclusive entrance leading to an open court, which overlooks the three buildings making this a true Arabian Palace. 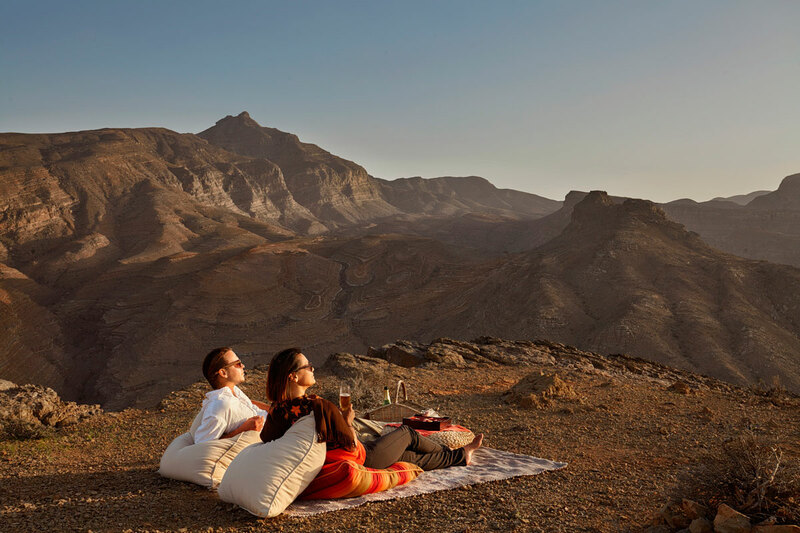 Within, you will find vast open spaces set on multiple elevations offering spectacular views over the Gulf of Oman. 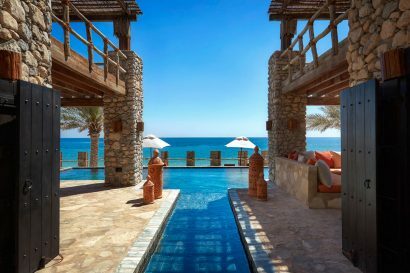 With its four bedrooms, the Private Reserve – the largest in the Middle East- is a chic luxury, yet the subtle and strong emphasis on privacy and space with particular attention to detail. 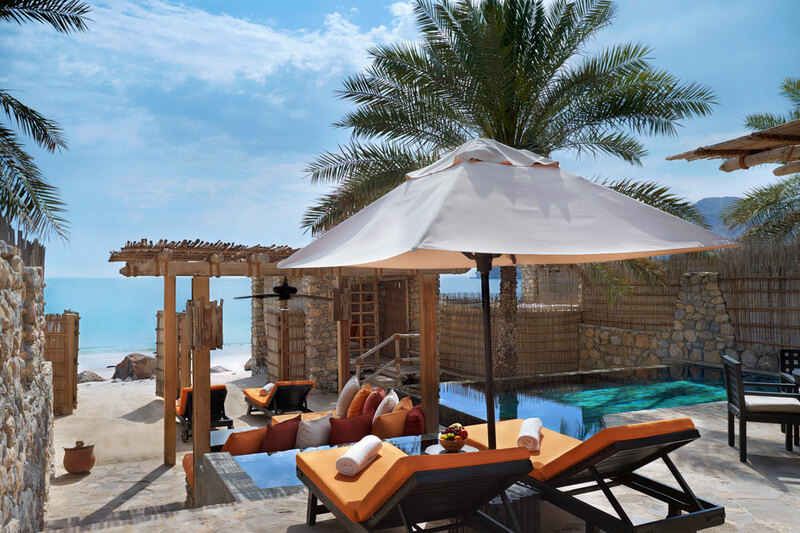 The Majalis comes with private entrance and a wide outdoor salon area tucked against the Hajar Mountains and viewed to the azure waters of Zighy Bay. A service kitchen and separate bathrooms ensure convenience during a day of meetings or an evening of events. The large common area can easily be tailored to meet the needs of your gathering and is ideal for groups needing more privacy and space. 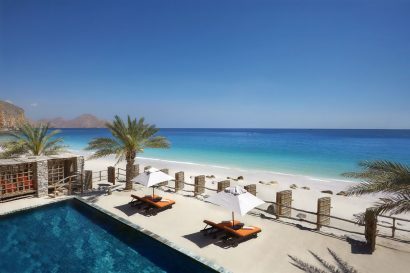 • DIVE EXPERIENCES – Dive the renowned Gulf of Oman. For a world-class experience, you need first-class expertise. Our experienced international divers conduct SSI and PADI courses, privately or in groups in English, French, German and Dutch. Your equipment is state-of-the-art, and you’ll access the dive sites on board a small fleet of powerful boats, including two Royal Craft 35 vessels that can accommodate up to six divers. We cater for all levels – from Bubble Maker dives for children as young as eight, right up to PADI Divemaster courses. • Yoga – Guests are offered Yogic Programs dependent on their needs and results from the Integrated Wellness Program. Choices of Discover Yoga (three to 14 nights) or Yogic Detox (five to 14 nights) are available for those requiring an optimum balance between body and mind. • Tennis Court – Fancy being the next Novak Djokovic or maybe the next Serena Williams? Why not test your volley and backhand on our Tennis court located near the Salt Water pool. It is advisable to play either early in the morning or evening before the sun gets too hot. • Cooking Class – Sign up to fulfil your quest to prepare a perfect mezze or a Mouth watering Arabic grill, as our Arabic Sous Chef reveals the secrets of Arabic cuisine at first hand.